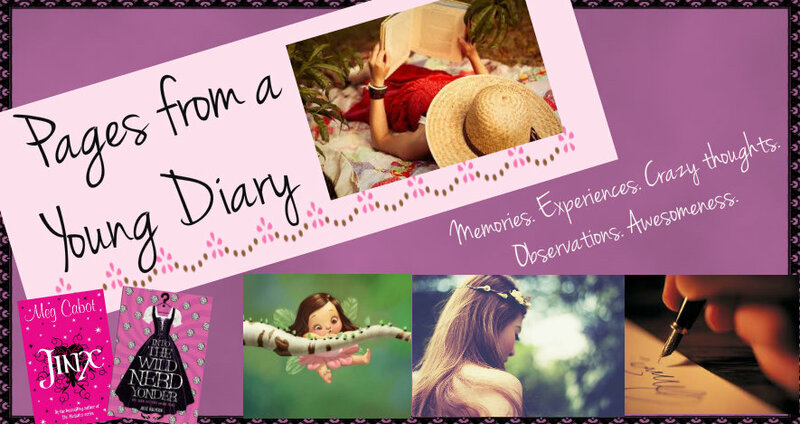 Pages from a Young Diary: Random thoughts: Silly mistakes! Anyway, the case in point for this random post is ‘silly stuff’, which also happens to be my favourite topic right after clumsiness! For one, I’ve heard this word so much in my life I think I wouldn’t even have any vocabulary had I not been a reader too. According to dictionary.com, ‘silly’ is defined as 'weak-minded or lacking good sense; stupid or foolish, absurd; ridiculous; irrational'. Ugh. I just prefer to call it the result of weird-things-you-do-or-say-which-makes-you-look-like-a-nutcase-in-front-of-rational-normal-people. This sounds better, right? I’m sure we’ve all been through things that are silly, or done silly stuff before. Or you might even be a borderline case like me, who can actually be defined by this word. (Not really, I just exaggerate a bit here. I’m actually quite awesome!) Whichever category you fall into, just think about things that you like to call silly. I’ll mention some stuff here too, but I’d like it if you stop reading, use your brains a bit (ahem) and think of some stuff and see if it relates to what all I’ve mentioned. See, I’ve always been a bright kid in school (just because I didn’t have a life! ), getting nice grades and all. It used to be a huge thing for me back then, good marks, that is. (Now? I just don’t care that much. We’d be a lot better if we stop judging ourselves based on stupid numbers) However, one tiny thing somehow always cropped up whenever I discussed the paper after the exam with anyone (read parents) and when we got the corrected answer sheets! You didn’t put a negative sign, silly mistake. You circled the wrong option in a hurry, silly mistake. You did a simple calculation wrong, silly mistake. I’m sure kids wouldn’t even know this word had it not been for teachers and parents complaining how their kid makes so many ‘silly’ mistakes. I even remember a teacher once saying, ‘there’s nothing like a silly mistake’. The rest of it would have been interesting had I remembered more. I just remember this much. Silly me. Okay, I’m not obsessed with being tagged as a klutz, alright? I just believe that clumsiness goes hand in hand with being silly, maybe even as a best friend. Think, a clumsy person does anything funny, it’s almost always silly. When do clumsy people ever do anything that’s not silly? Dropping stuff is silly, landing on all fours randomly is silly, bumping into people is silly. What isn’t? It’s such a silly world, I tell you! 3. The stuff people do! I don’t know what all can be categorized as ‘silly’, but I’ll post them anyway. - Smiling at a random memory, at any place, any time. Has happened in classrooms, in the Metro, while just walking, sometimes realizing I’ve been looking at someone while smiling at the memories and literally running in case they get any weird ideas. - It’s not just smiling. Sometimes, making up situations in your head (as in, when you anticipate something happening when it hasn’t happened yet) and actually thinking what you’d be saying and later realize that you’ve been whispering it out loud and it gets really weird if you happen to be in the Metro that time. It happened today too (God, I do so many silly things in just one day!) while I was passing time in the computer lab and no one was around. When the door opened it made a sound and I looked up to see a random teacher enter and throw a glance at me. She obviously would’ve thought I’m some nutcase, talking to myself. And the weirder thing is, if it’s something funny, I’d even laugh. Oops! And ya..thanks for reminding me about those 'silly mistakes' but for which I would have been leading the country away from all its problems!!! Liked the post a lot !! First of all I agree with you on the line where you say you wouldn't have a vocab if you weren't a reader. I think so too. hahah.. This post is like a reflection to me as well. Oh Aashna, I love what you write. however "silly" it may be sometimes but it has a fact wrapped under it. I couldn't stop myself laughing. You know this is the second time I am reading your post, first time i couldn't write comment because power went off and then I made a note in mind I should definitely write a comment. Many things are common here- writing notes when damn sleepy in boring classes. whispering loud. 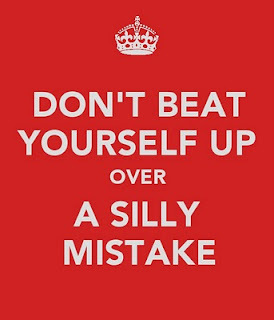 Am sure we all have our list of these "Silly Mistakes". - have virtual 'could-be' or 'could-have-been-this-way' conversations when alone, complete with dialogues and hand gestures and then realising what I have been doing, immediately become normal and look from the corner of the eyes if anyone noticed. - say 'yaa ya, off course' after missing the whole story someone just told very seriously and wondering what was it all about.